Book Review Nangokusho By Atsushi Fujiwara Reviewed by Adam Bell Part travelogue, part homage, Atsushi Fujiwara's Nangokusho pays tribute to Fujiwara's grandfather and investigates the southern region of Japan where he lived. A teacher and poet, Fujiwara's grandfather unfortunately passed away before the two could meet, but this book is an attempt to bridge that gap. Although he only appears in a photograph held by a woman (presumably Fujiwara's grandmother) towards the end of the book and in other images of photographs, his presence, or at least Fujiwara's imagining thereof, haunts the largely vacant landscapes, city streets and details of the work. Nangokusho. Photographs by Atsushi Fujiwara. Photographs by Atsushi Fujiwara. Edited by Michitaka Ohta. SOKYUSHA, 2013. Hardbound. 104 pp., 95 black & white illustrations, 9x10". Part travelogue, part homage, Atsushi Fujiwara's Nangokusho pays tribute to Fujiwara's grandfather and investigates the southern region of Japan where he lived. A teacher and poet, Fujiwara's grandfather unfortunately passed away before the two could meet, but this book is an attempt to bridge that gap. Although he only appears in a photograph held by a woman (presumably Fujiwara's grandmother) towards the end of the book and in other images of photographs, his presence, or at least Fujiwara's imagining thereof, haunts the largely vacant landscapes, city streets and details of the work. Melancholic scraps of evidence, Fujiwara's empty and somber images not only attempt to reach back and make sense of his past and family, but also offer a somber look at Japan's past. Any attempt to convey a personal history through photographs is a difficult, and arguably futile, task. Potentially hermetic, locations or things that hold great personal meaning usually fail to register for ordinary viewers. Nevertheless, such paltry scraps and fragmentary details are how we find meaning in the world around us. They locate our lives and us in rich and powerful ways. This peculiarity of photography is one of its central paradoxes, or to use more religious terms, its immanence and transcendence. It speaks specifically about the world and attempts to points outward. Nangokusho, by Atsushi Fujiwara. Published by SOKYUSHA, 2013. Edited by Mitchitaka Ohta and designed by Koichi Hara, the book features 95 black and white images shot by Fujiwara from approximately 2009 to 2012. Although about his grandfather, there is little direct evidence of his presence. Searching for his roots while also grappling with Japan's post-war legacy, Fujiwara elegiac and inquisitive images take us down empty side streets, point at old buildings and force us to gaze at relics of Japan's industrial and military past. Formal military portraits sit on the shelf gathering dust, boats and planes sit disused, and gates block off US military bases. 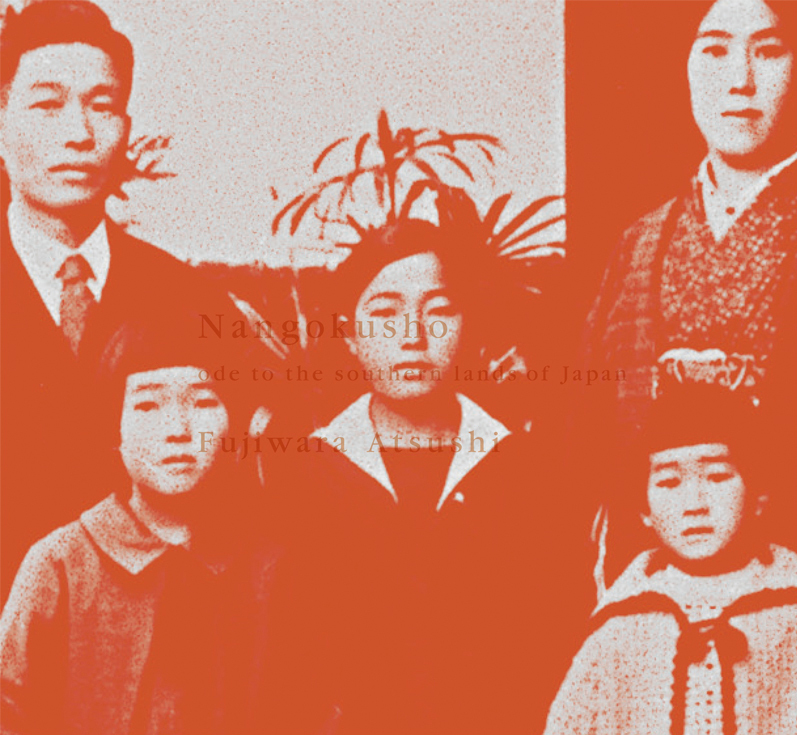 Each image feels like a question for Fujiwara's grandfather and an attempt to gaze back into the past. What happened here? Did you pass this on the way to work? Did you ride this bus? Fujiwara is perhaps best known for co-founding and publishing the Japanese magazine Asphalt, which is published twice a year. Since its creation in 2008, Asphalt has become an influential and popular magazine in Japan and abroad. Featuring both Fujiwara and his co-publisher's Shin-Ichiro Tojimbara work, each issue also showcases another photographer selected by the two. Akira Hasegawa, who edited Masahisa Fukase's Solitude of Ravens, among other well-known books, designs each issue. The same publisher of Fukase's book, Sokyu-Sha, is responsible for this book.